You all probably know Lee Hanley. 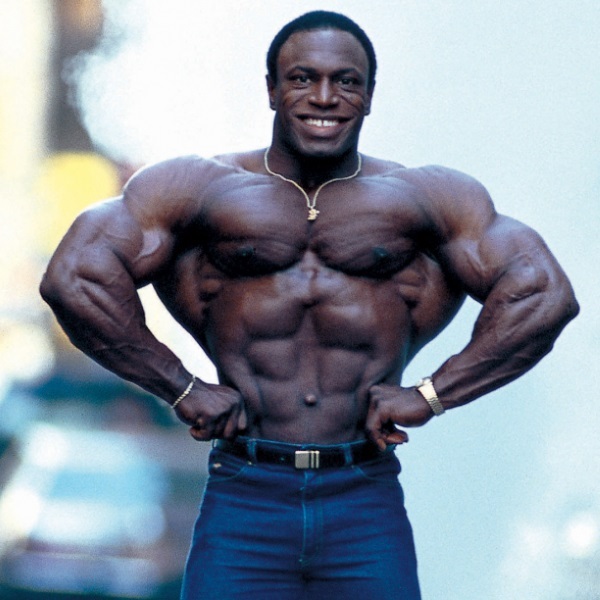 An eight time Mr. Olympia title holder and one of the most famous backs in the world of bodybuilding. In this article the basic principles behind his back workout protocol that brought him eight Sandow trophies. For training purposes we are going to view the back as complex unit consisting of three separate bodyparts: the traps, the lats and the lower back/spinal erectors. When training each muscle group, you have to hit it from different directions. For instance, when working out the traps, your shoulders and trapezius should be shrugged upward. Pulling downward when working out your lats helps them gain on width, while pulling backward provides the thickness. And when it comes to the lower back and spinal erectors, try extending your body upright from a bent position. Lee also advises training the different back muscle groups on separate days. For the lower back, Lee recommends doing three to four stiff-leg deadlifts of eight to ten reps on the hamstrings/glutes day. The lats and middle back are trained traditionally on a separate day, with details provided in the chart. Lee’s offseason mass building workout usually consists of pull down and pull up exercises. You can do V-handle chinups, pullups with wide or medium grip behind the neck, and medium-grip front pulldowns. Lee recommends doing two of these exercises in each workout. When performing these exercises it’s essential not to pull with your arms. Instead, go through the motions pulling from your elbows. Lee picks T-bar rows, barbell rows and dumbbell rows as his preferred rowing exercises. “Again, get a full range of motion, letting the stretch pull your shoulders forward” Lee advices. “When pulling back, keep your elbows tucked close to your body”. He’d supplement this exercise with straight-arm pulldowns or dumbbell and barbell pullovers. So there you have it. A word of advice on how to develop a muscular back directly from the man himself. However, have in mind that the exercises above are only his most frequently practiced ones. Haney’s workout protocol also includes excellent isolation movements like wo-arm dumbbell rows, one-arm pulley rows and machine pullovers. If you want to build your own impressive rear view, try incorporating them into your routine.